Less than 21 days before Grenadians go to the poll on 19 February 2013, a Minister of Government of the ruling National Democratic Congress has died. 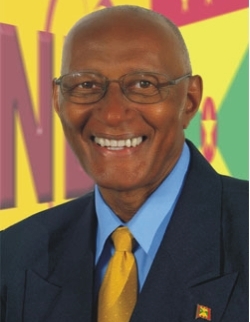 Denis Michael Lett who represented the people of St David in the Lower House of Parliament following the 2003 and 2008 general elections but was not contesting the 2013 polls lost his battle to prostate cancer. He was 74. Lett was appointed Minister for Agriculture, Forestry and Fisheries following the 2008 general elections when the NDC was voted into office. He served in that position until his death as he never resigned from the Cabinet. Numerous ministers acted in the positions during the period of his ailment. Last Sunday a letter was read on the NDC platform in which said that he Lett had endorsed Adrian Thomas as the selected NDC candidate for contest the constituency.